Not every boy’s educational needs are the same. That’s why, unlike some boarding schools for troubled youth, education at Archbishop Hanna High School is based on each boy’s specific needs. Made up of small class sizes, averaging 8 to 10 students, the Catholic High School at Hanna Boys Center is fully accredited by the Western Catholic Education Association (WCEA) and the Western Association of Schools and Colleges (WASC). All boys receive a comprehensive educational assessment at admission to determine their strengths and challenges, and together, with input from the student, a comprehensive educational plan is built. Careful consideration is given to how each boy learns, his study habits as well as his strengths and challenges. Often, boys have fallen behind in school prior to enrollment due to issues like absenteeism, family instability or learning difficulties. There are set times for homework, and computers are available in each of the residences so boys can access their homework assignments and obtain online tutorial assistance. Youth counselors assist the boys with their homework and students may also request special tutors when needed. Diplomas are awarded to graduates upon completion of the graduation requirements. Last year, 100% of the boys who completed our program obtained a high school diploma. Goal setting and planning for the future helps students focus and achieve in school with higher expectations. Our on-campus academic advising program is an important component of the planning process for each student. The advisor annually reviews with each student what courses are required in order to receive a high school diploma, and which ones are needed catch up on credits needed for graduation. 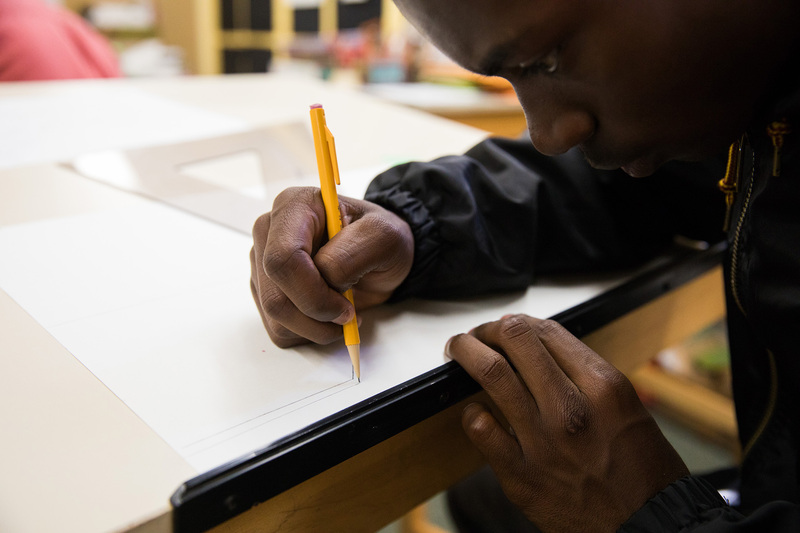 Our goal is to help the boys get the academic assistance they need to be successful in the classroom, receive a diploma and formulate a career plan that fits their interests, skills and abilities. Hanna is proud of the many paths our students take after graduation – from entering the workforce, to the military, to two and four-year universities, to starting families of their own.